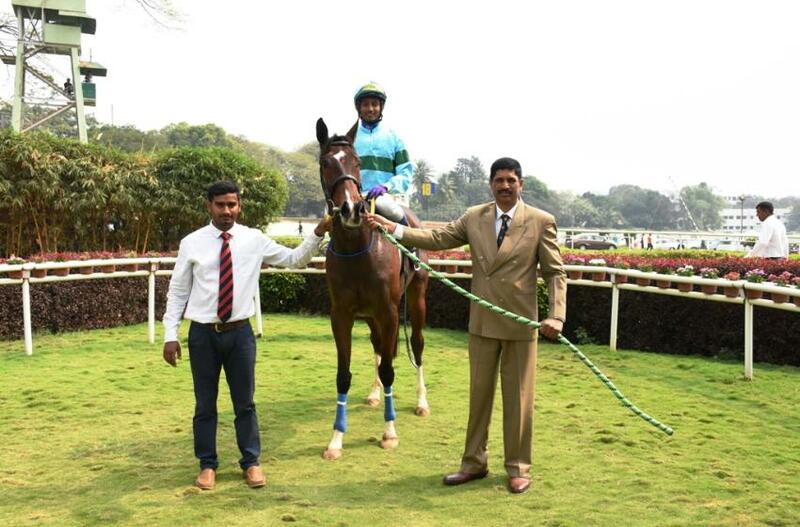 David Allan`s power-packed riding on Mauritania clinched an exciting win for the progeny of Excellent Art in the Gr 3 D P Sharma Memorial Sprinters Million, a terms race for four-year-olds and over, the feature event of Saturday`s Bangalore races. Tutankhamun who had beaten Mauritania over a seven-furlong trip last time out shaped to win but the jockey`s strong handling ensured that the Padmanabhan trainee snatched victory in the final stride of the race. Mauritania holds the course record for this trip but over seven furlongs which was always considered as more suitable for him, he had gone down to Tutankhamun who subsequently went on to win a sprint million at Chennai. Tutankhamun was a free-running horse in front but after this tendency was curbed, he was not always at his best. Jockey Trevor Patel rode Tutankhamun in front, not giving a chance for Mauritania to take the lead and managed to pull through on the last occasion. This time out also such a tactic almost paid off as inside the final 50 metres, Mauritania looked beat. But the driving finish of David Allan ensured that Mauritania won by a short neck. Star Carnation was third more than six lengths behind. 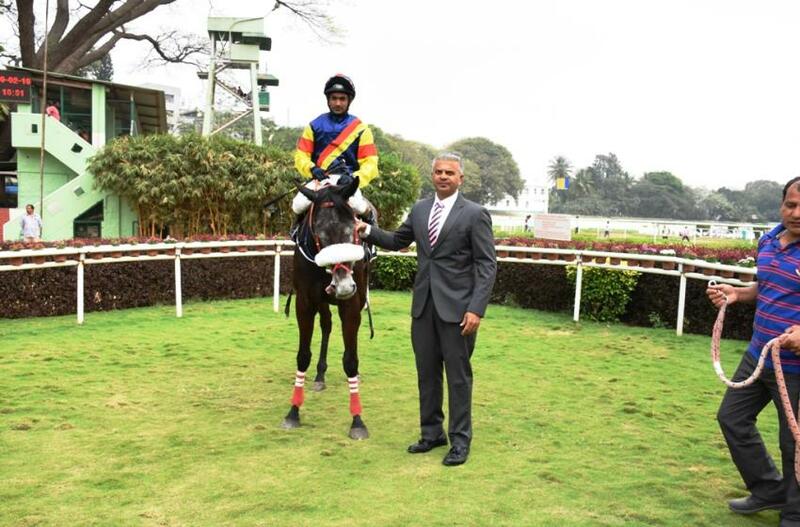 Sulaiman Attaollahi trained Sakura who had failed to perform to expectations in the classics after an eye-catching effort behind Isn`t She Lovely in the Mysore 1000 Guineas. Now back in a handicap race over a seven-furlong trip of the F K Irani Memorial Trophy, a race for horses rated 45 to 65, Sakura was backed down from a higher quote with conviction. The other horse to get big betting was Poseidon. Areca Legend, however, was the favourite. 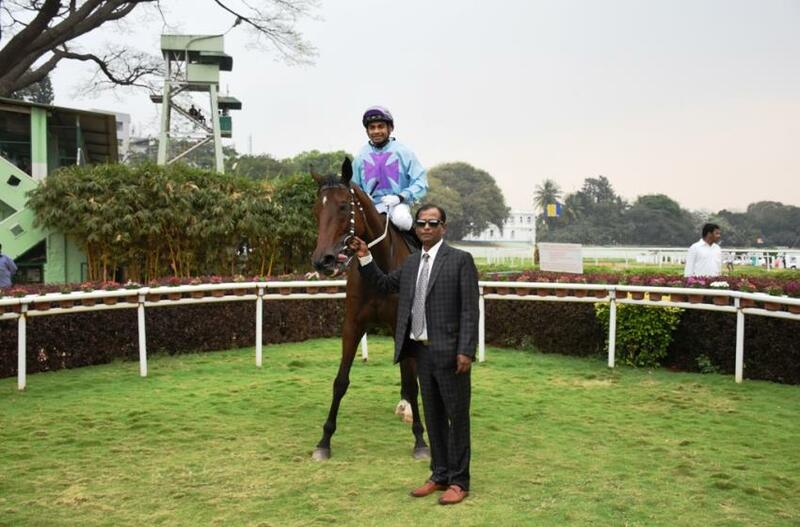 Sakura was in the rear position at the final bend but jockey Akshay Kumar was able to get the horse going on the wide outside and the Nanoli Stud Farm produce covered ground with big strides on the edge of the grass track to bounce clear of Poseidon close home to land the spoils. Winning Heart was third some lengths behind Poseidon. Sharat Kumar trained Summer Dawn came in for big betting in the 1400 metres Planetarium Plate, a race for horses rated 15 to 35 even though the nine-year-old gelding hadn`t won for 372 days and was not showing spark in his performance. But the field was such that it was difficult to pick anyone with a conviction. Satish Narredu trained Amazing Skill who too hadn`t seen the winning post for 694 days was expected to have a change in her fortunes. Bazinga led the field from the start and held forte till the final 300 metres. Extremelydangerous surged ahead at this point but she could not sustain her foray in front as Amazing Skill who was lying in wait, pounced on her and stormed clear to provide jockey Yash Narredu with a double for the day. Bazinga stayed on to save place money. Summer Dawn was buried at the back. The quality of races framed for the day barring the feature event was poor and winner-picking was extremely difficult as horses without good surface form were in the fray in most races. It came as no surprise that horses which came into betting without no recent form were seen at the busy end. 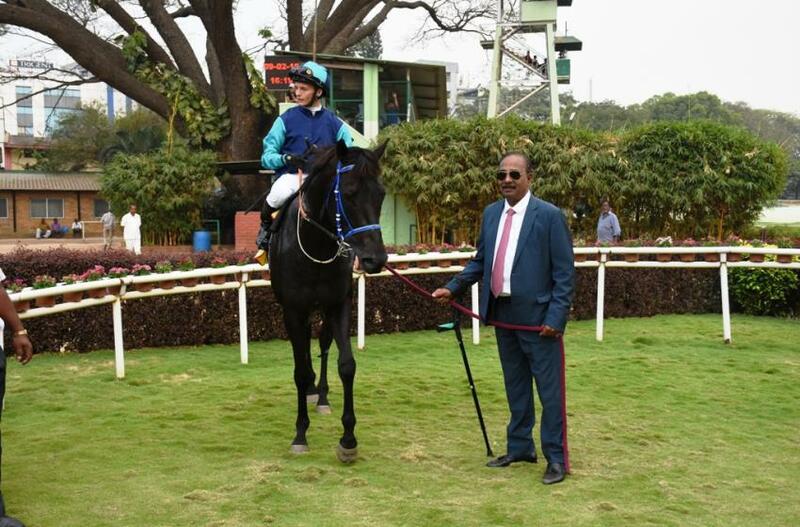 Narayana Gowda trained Island Pearl who hadn`t done anything significant for 722 days, came in for noticeable betting in the Somanathapura Plate (Div II), a race for horses in the lowest category run over five and a half furlongs. Island Pearl led from the start and in the hands of apprentice jockey K Raghu, skipped away to win with a great deal of ease. 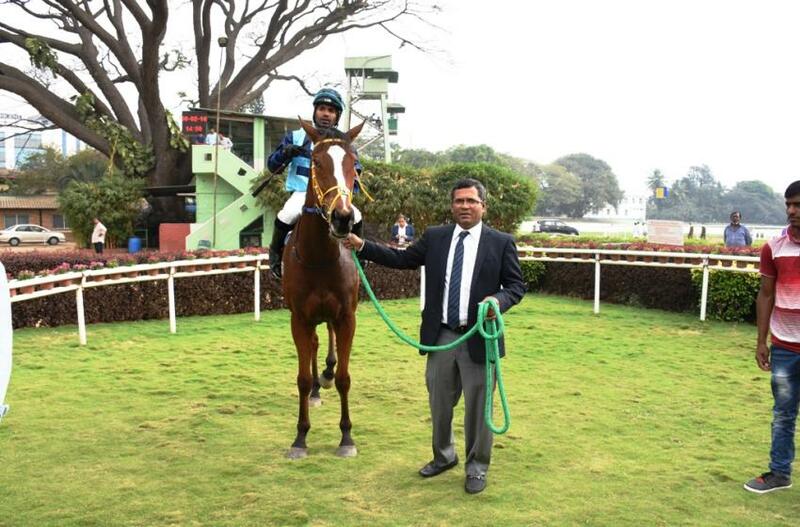 Naayaab beat Aqua Blessing to get the runner-up berth. 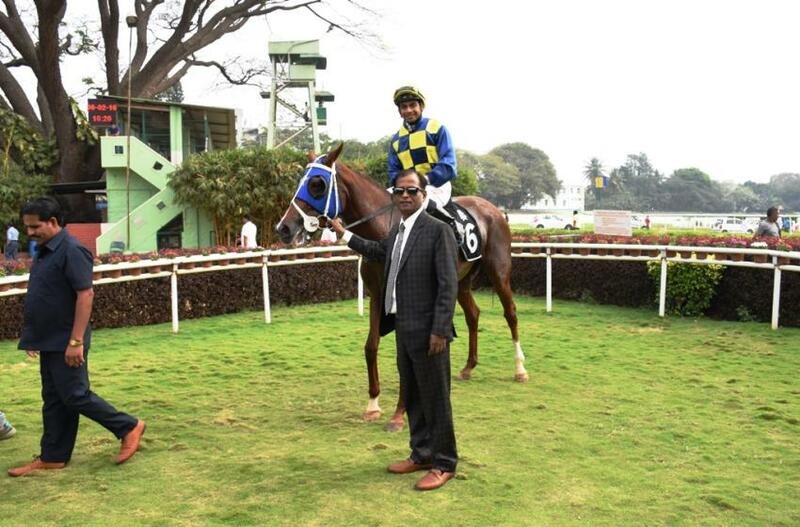 M R Singh trained Desert Gold won the upper division of the race at big odds. Jockey Darshan had Desert Gold placed in a handy position all through the race and the lesser fancied runner broke into a winning lead in the final furlong. Cashmere came late on the scene to take the second spot ahead of Desert Guilt and Purity. Satish Narredu trained Tarini was another who won after a long break in the 1200 metres Amazing Grey Plate, a race for horses rated 30 to 50. The six-year-old mare hadn`t won for 601 days but was quietly fancied to change her fortunes. In what was an open type of betting, Moraine Gabriella was the favourite. 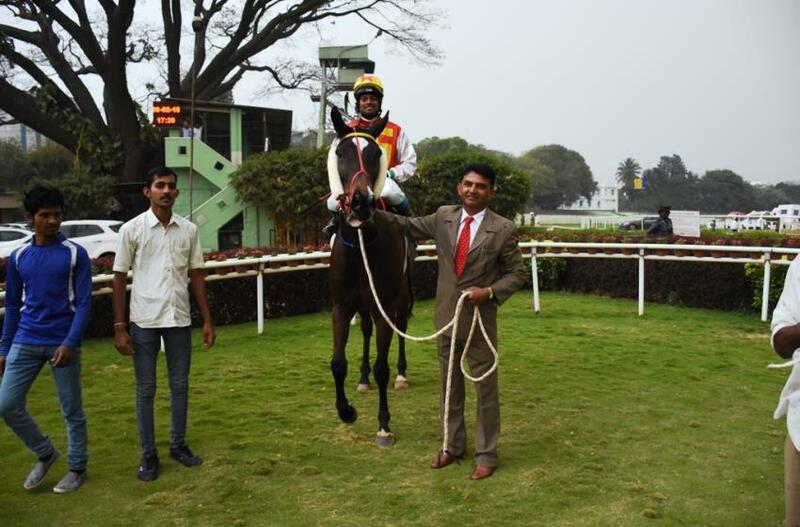 Tarini who was placed well up with the front-runners by jockey Yash Narredu had no problem in seizing the initiative in the final furlong and easily held off the challenge of Call Me Maybe. Ispelldangertoall nosed out the fancied Silken Striker to save place money. The day`s biggest upset came in the 1400 metres Royal Russian Plate, a race for horses rated 15 to 35 where Prithviraj trained Limato won the race at huge odds. Limato in the hands of B Harish chased All By Myself into the straight before storming clear to win the race with ease. Fancied Hafnium produced a late dash and grabbed the second place from Incitatus and All By Myself. Favourite Color of Gold made no show.